In 1987, Jim White was the coach of a football team in Boise, Idaho and his team didn’t care about the sport. When the coach reprimanded the only senior on the team for being disrespectful, he threw a cleat at a locker close to him and it ended up hitting the kid in the face. Needless to say, he was fired and had to take a job in McFarland, CA. It is a little north of Los Angeles and it is a predominantly Latino town. When they finish dinner out and walking to the car, a line of low-riders and a few guys from around town get out. They start kicking game to Julie and, in a panic, Jim gets his family out of there as fast as he can. When Jim arrives at McFarland high school for his first day, he is told he will teach life science, PE, and be an assistant football coach. While taking role, he meets the three Diaz brothers: David, Danny, and Damacio. They leave class before it’s over because their mother comes and picks them up for work. Jim also meets Johnny who says that he doesn’t do gym because he is on the football team. At the football game, Johnny gets hurt when he tries to tackle another player. He is on the special teams as well as the defense so the head coach tells him to get back on the field. Jim stands his ground and benches him. This is when Jim figures out that these kids are more fit for running and not football. Niki Caro is the director of MCFARLAND USA and she has done such movies as NORTH COUNTRY and WHALE RIDER. She has a way of telling stories about people trying to overcome challenges that feel impossible to beat. In this film, there are more than just the obvious challenges with the cross-country team trying to earn respect from other schools. There is also Jim trying to be better that his prejudices and seeing the people of the town as equals. Kevin Costner shows that he still has the chops of being an excellent actor and he doesn’t hold back in this movie. He goes from being a very frustrated and even standoffish man that becomes a caring friend, father, husband, coach, and mentor. His finest moment in the movie is the scene where he works a day in the fields with his team. They take him early in the morning to harvest cabbage and he not only hurts his back but also earns respect for how hard they work. The film is very easy to watch and superseded my expectations. I knew it was going to a good movie but I didn’t know that it would blatantly show how bad some people’s preconceived notions about a group of people could be. I love it when a movie surprises me like this. The 1080p AVC video has natural hues and it is highly detailed. The film has coloring that keeps the colors coming through but you get a feeling that this is an older story not being told in the present. There are a lot of wide shots of the farmlands and picking fields of the area. The sun on the horizon has brilliant gold, reds, and oranges like looking at a painting of moving pictures. The cross-country trails that the boys run for meets are on rolling hill in the arid land with bold green grass growing on top. The only other color that is incredibly bold is the reds in the team’s uniforms. It easily stands out because if you have even been to a footrace before, it can be hard to keep track of whom you are watching. 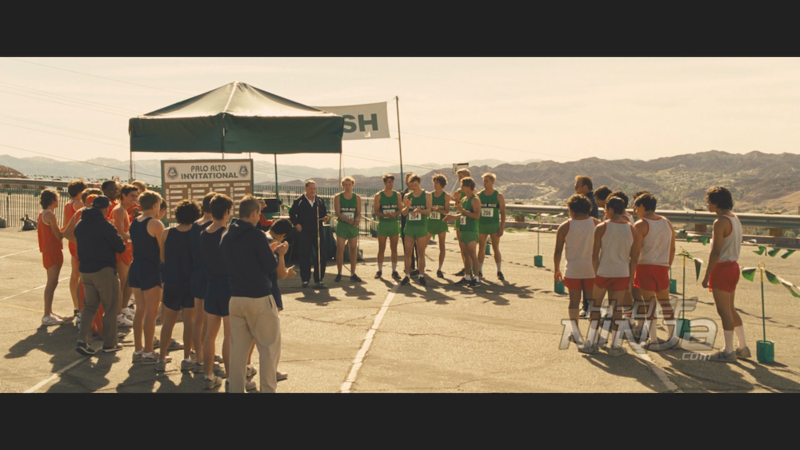 It looks almost like the director dulled the other uniforms down so you can easily spot the McFarland kids. The Blu-ray looks exceptional and Disney did an excellent job with the authoring. 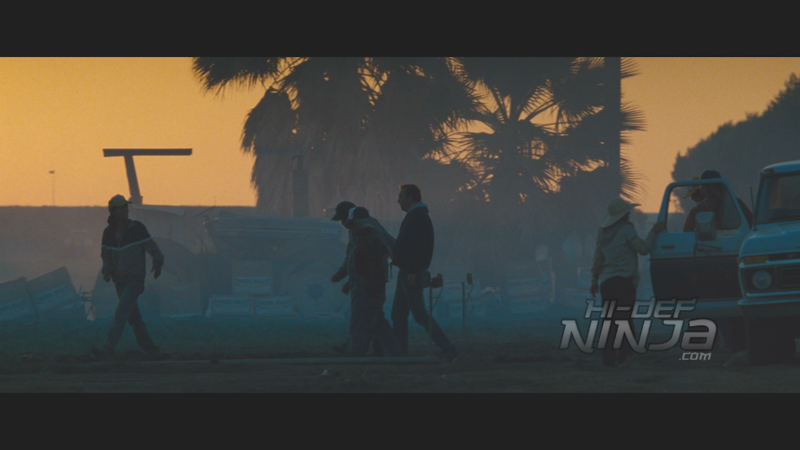 MCFARLAND USA has a good audio mix that is dialogue heavy. It is always clear and never difficult to understand. Costner does have a little grumble to his voice but even that is never drowned out by other audio. The movie’s DTS-HD MA 5.1 is strong but the strength only comes out in certain scenes. One of the best examples is when the Whites are out to dinner and the line of classic cars pulls up. The bass pounds from the subs in the cars and also when the group is driving after Julie’s quinceanera. However, there is never a time when it overpowers the highs in the audio from the scene. note: When I first put the disc in the Blu-ray player, dialogue didn’t match up with the audio. I don’t know if it was the disc or my equipment. It fixed itself after skipping chapters forward then back. The extras on the release are few and I wish there was a little more about the real people in the story. There is the one featurette that has the real people talking with Costner but I wish it was longer or even an interview with the director. 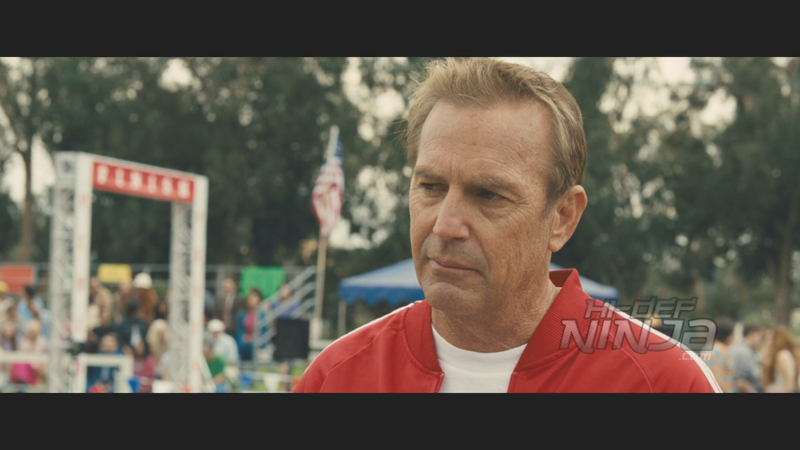 -McFarland Reflections: Kevin Costner, the real Jim White, and the runners from the original team, sit down and have a conversation about the movie. It is a little shorter than expected and only lightly touches on the differences between the real events and the movie. -Deleted & Extended Scenes: there are 6 scenes included with the release. Thomas Watches His Father Leave. -Music Video: “Juntos” by Juanes. -Inspiring McFarland: This is a quick promo for the movie. I went into watching this not knowing what I was getting into other than I knew there were these kids who are runners. What I ended up seeing is a movie about people getting over themselves and looking beyond the surface. The town and the Whites went from putting up with each other to becoming family. This is an excellent movie as well as a well-done Blu-ray release. This is what I think myself as well as other Blu-ray enthusiasts expect from Disney Blu-rays. If you’re interested, make sure to definitely rent it but this would easily make a great blind-buy. I highly recommend it.